Vanilla Ice cream out of the beans! Keep the beans/seeds in your sugar or flour/dough to get vanilla aroma in products you make. Cut the beans into smaller pieces and use it as a flavor in making. 100% Hungarian paprika. No additives whatsoever. Size: 160G = 5.65 oz. In Thailand, there is never a seafood feast without this sauce. Try it once and you'll be hooked! Thai Cuisine Seasoning Seafood Dipping Sauce Spicy Sour Sweet Paste Table. Thai, Thai food and Nam Jim (paste dipping sauce) is well indispensable. 5 out of 5 stars - Healthy Boy Seafood Dipping Sauce Thai Cuisine Chilli Lime Spicy Sour 165 g.
1 product rating1 product ratings - Healthy Boy Seafood Dipping Sauce Thai Cuisine Chilli Lime Spicy Sour 165 g.
10 Extract Grade B Natural Beans. (Vanilla planifolia). We assure that we will give you the best solution. Salt is not all equal and this one is organic and unrefined. 100 % NATURAL COARSE. The natural crystallization process is optimized so that most of the minerals present in the seawater are kept in the salt, making it a more complete salt from a nutritional point of view. Hand Harvest in a protected area. FREE SHIPPING DELIVERED FAST. Check complete description to all nutritional info and reviews from our costumers. ENJOY IT. 100% Organic Ceylon Cinnamon Sticks, True Cinnamon not Cassia, free Shipping. Hungarian Kalocsai paprika from Kalocsa, Hungary. Grown and harvested in Hungary. Pure 100% paprika powder. Size: 2.64oz (75g). Imlee, Imli, Tamarin, Tamarindo, Tamarindus indica, Tamarinier, Tamarinier d’Inde, Tintiri. 100% Pure Organic Sri lankan healthy and dietary natural Tamarind With Seeds. this is pure natural tamarind and not added any chemicals. 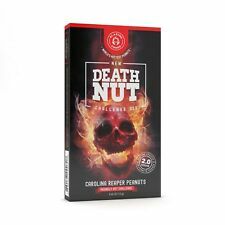 The ghost chili is rated at more than 1 million Scoville heat units (SHUs). Oven dried Chili powder. Expiry is three years from the Date of Manufacture. It is used for religious purposes in India, and is widely used in cooking in many cuisines, ranging from the Milanese risotto of Italy to the bouillabaisse of France to the biryani with various meat accompaniments in South Asia. The cheapest price can't buy real saffrons, so please don't believe it. quantity：1g per bag The glass bottle often broken on the way, so we only use the OPP bags to shipping,please understanding. 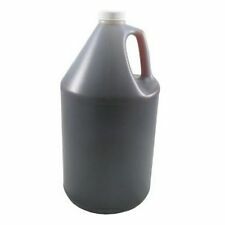 Can be used for dry curing or as a brine solution. We can help you decide on the right amount of ingredients to mix with your seasonings or the best size sausage skins to use for the desired result. Freshly harvested from Szeged (south-Hungarian region) and smoked on beech-wood. Very characteristic and delicious. All hand-picked. You won't be disappointed. 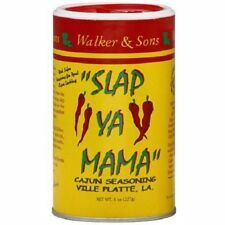 I use this paprika, super red! 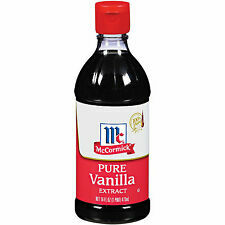 10 Grade B Extract grade Vanilla beans! These are small beans. Species:Vanilla Planifolia. Ingredients: horseradish, coloring (gardenia, safflower yellow). Add water to an appropriate amount of powder wasabi, stir well well and use for 4 to 5 minutes before use. The wonderful flavor unique to wasabi and intense pungent taste the dishes. AJINOMOTO cooking to add "U-MA-MI" or savory taste to foods of all kinds. Whether it's soup or salad, stir fry sauce. Product Size : 80g. We will try our best to fix any problems. Add to favorite. See all products. Algarve - Portugal. Fleur de Sel / Flor de Sal = Makes good food taste great! High Quality Palestinian Zaatar 80g. Produce of Palestine. Sea salt, also known as bay salt, is produced by the process of evaporation of salt water bodies. It is darker in color as compared to the refined salts due to the absorption of essential minerals from the clay lining of the body of water. Turmeric Roots, Fresh Tumeric Curcuma Root 200g (7oz).